Come one, come all to the animal masquerade! The lion is going as an elephant, the elephant as a parrot, and the parrot as a turtle! Each costume gives way to another, yielding new surprises on every page, and revealing a menagerie of familiar and unusual animals. Young children will delight in the absurd and amusing images (who wouldn't love a ladybug dressed as a hippopotamus?) and will also appreciate the gags (a fish costumed as a cat is dubbed a "catfish") and other bits of silly sweetness. Recapping this reading adventure: a detailed panorama at book's end, showing all the party guests in their fanciful finery. When I first picked this book up, I was surprised how long it was. 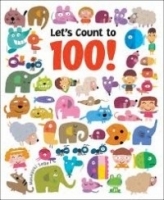 I initially thought that this would be way too long for a picture book. It did turn out to be a little long for my taste and it may be difficult for young ones to stay focused for the entire story. I was glad that even though it was long, there wasn't an overwhelming amount of text to read. 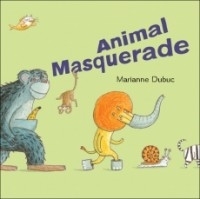 I enjoyed how the animals were transformed into their masquerade outfits, the art work is very smart. Overall, a cute book for the book shelf.